Utter artist block this week. I have wasted so much paper with absolutely dire scribblings. It’s unbelievable, really. As the artist of a reasonably successful webcomic, you’d think an ability to draw might be a useful skill to have. The drawings have more or less come together now, though I’m still not ecstatic about some of em. But then there’s the whole process of putting it together, so it’s a while off yet. Probably late on tomorrow. I have the week off work, so I can keep at it tomorrow, and can hopefully get next week’s done with something approaching punctuality. Maybe. 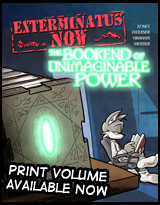 Filler image: Well, I never showed you guys these, they might provide a minor distraction while you wait. 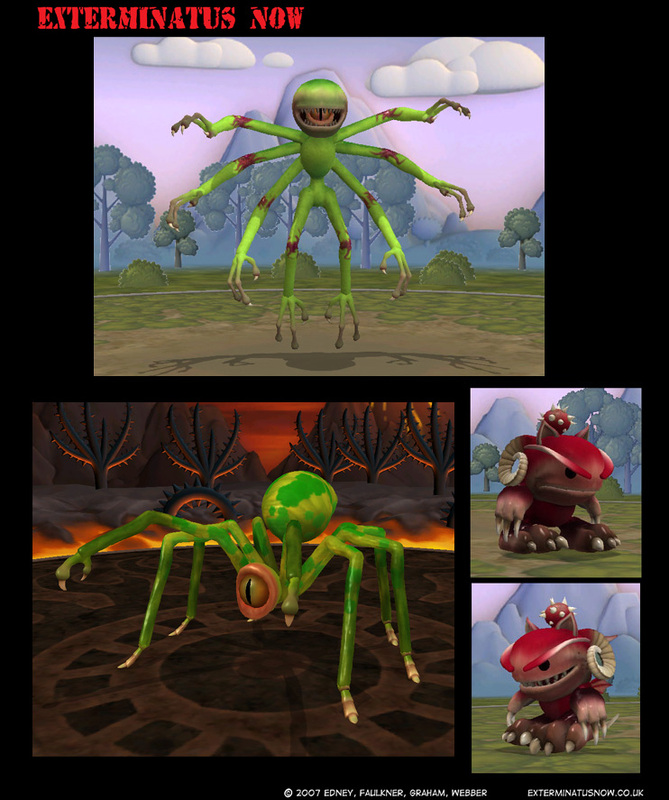 Like many, I had a good play around with the Spore Creature Creator. You may recognise some faces. If you have the (full version) Creator, you can grab the creatures here.